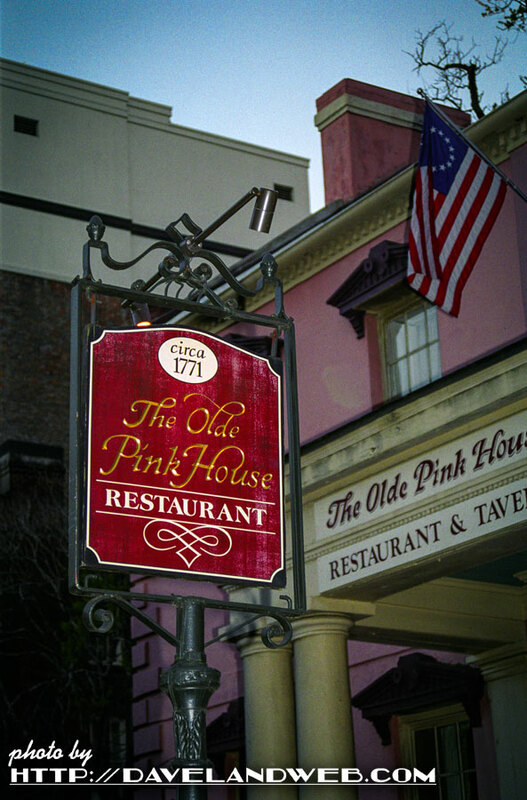 Faithful readers of this blog know what a nut I am for The Pink House, one of my favorite restaurants in Savannah, Georgia. 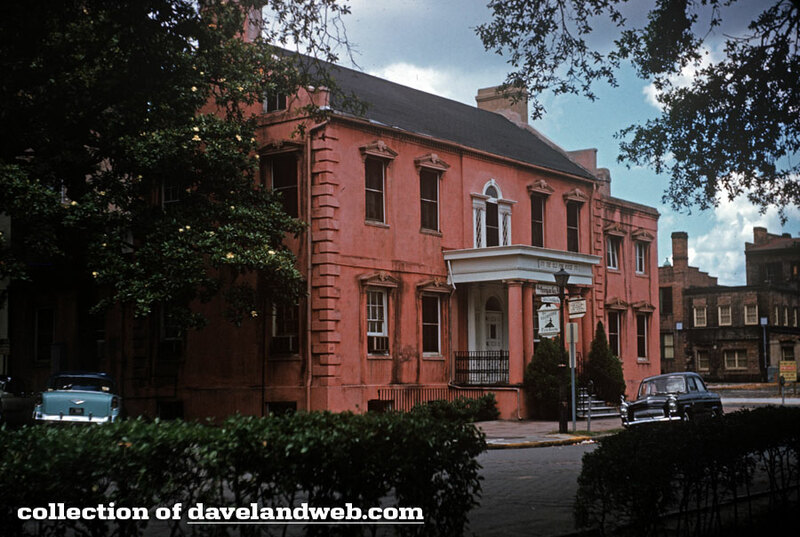 The recent acquisition of a vintage slide has spawned today's post, which shows this Savannah staple through the years. 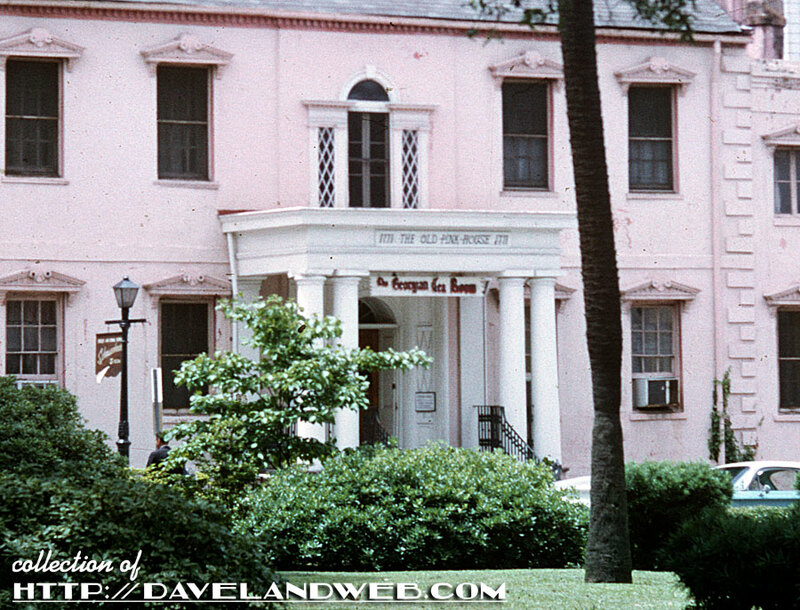 First up is a previously posted shot from 1958 when it was known as the Georgian Tea Room. 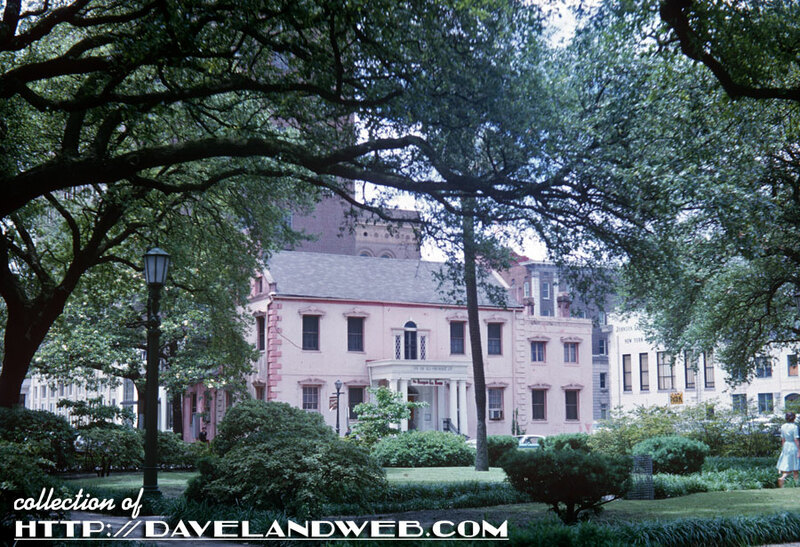 This June 1966 shot shows the Tea Room framed perfectly by the trees in Reynold Square. 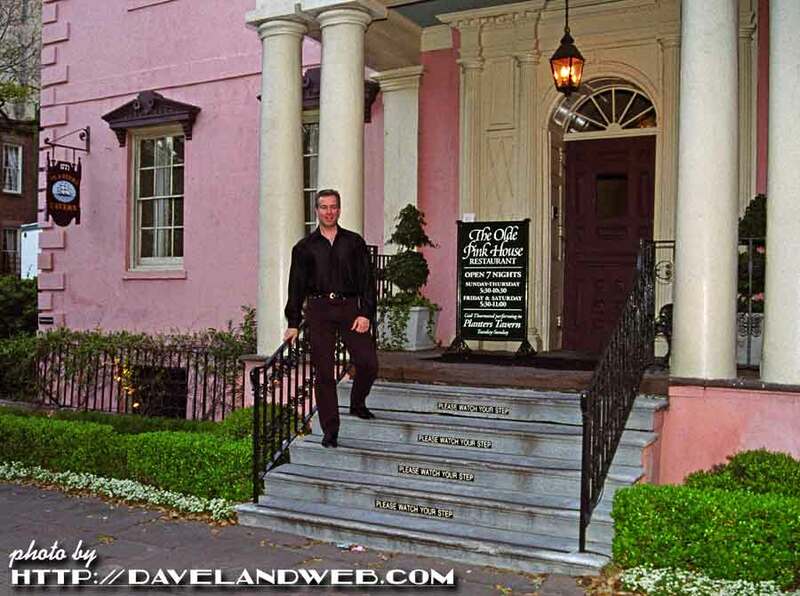 This Spring 2005 image is from my very first trip to Savannah and the Pink House. Yes, back when my hair still had color. 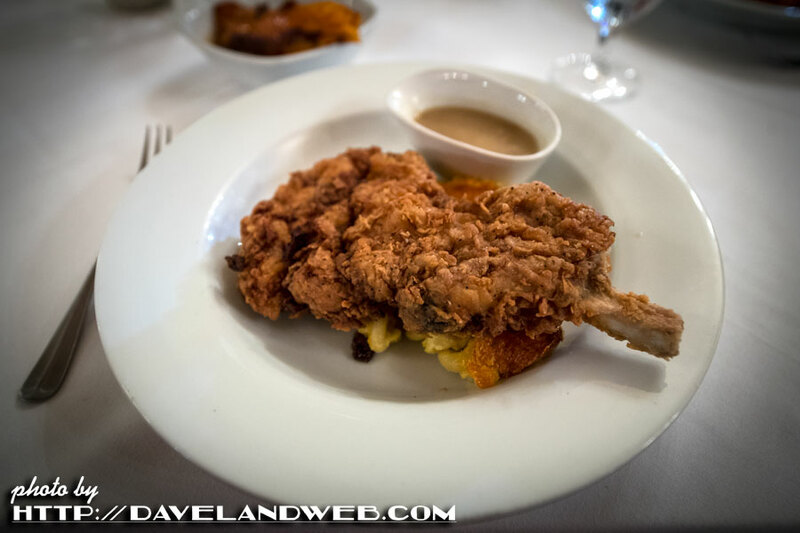 And of course the main reason I go here every time I visit Savannah: the infamous Fried Pork Chop. 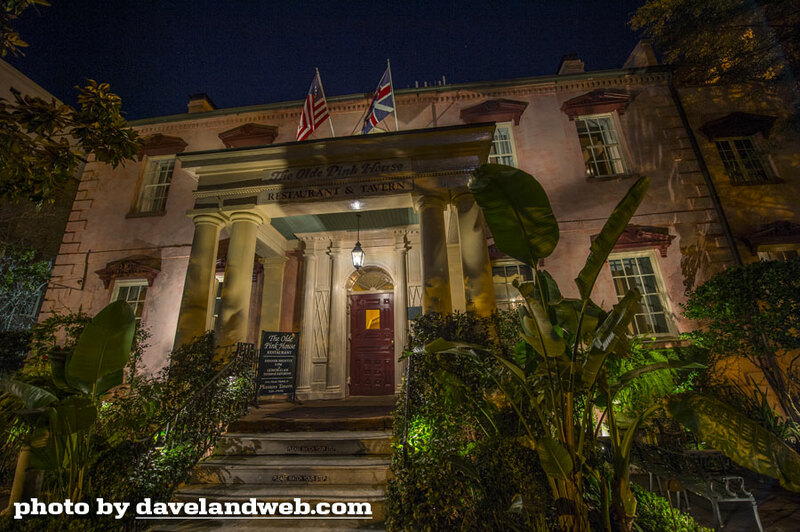 Get more Pink at my main website. More Mr. Toad at my main website. 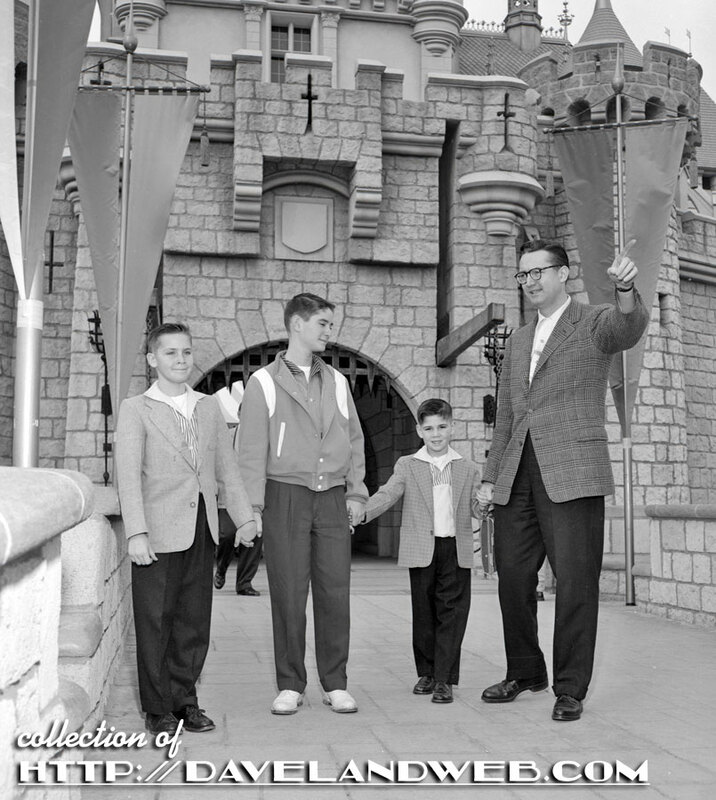 Steve and his family welcome you to Fantasyland from the drawbridge of the Sleeping Beauty Castle at Disneyland, circa December 1957. 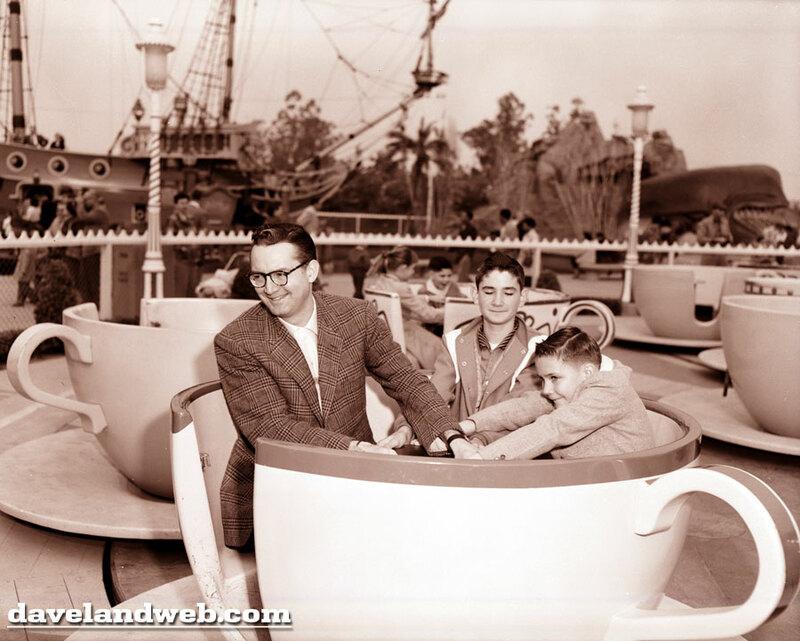 Here the family enjoys the Mad Tea Party attraction which was once located where the Carrousel currently is. 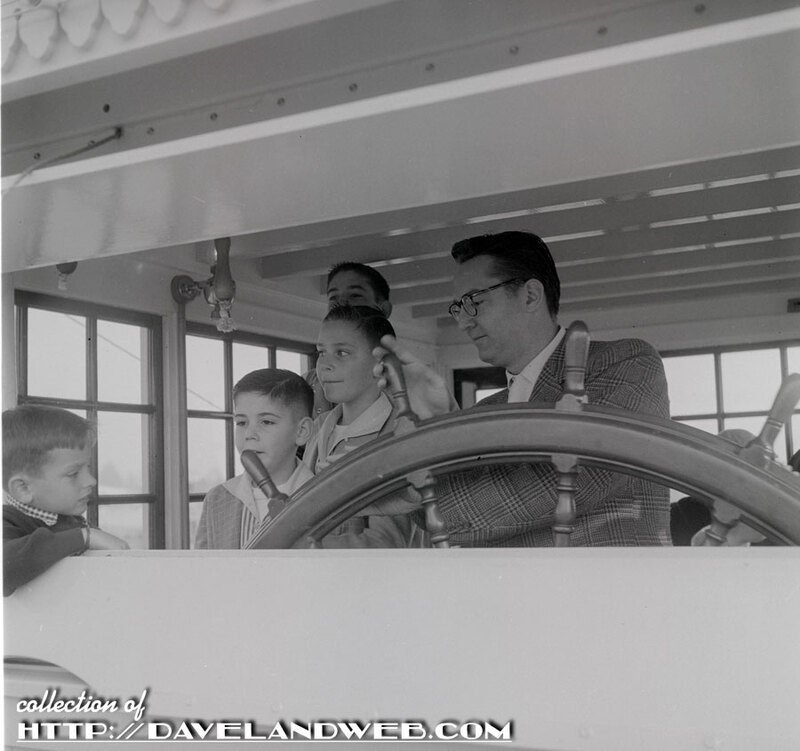 Donna Reed and Steve figure out where to go next. 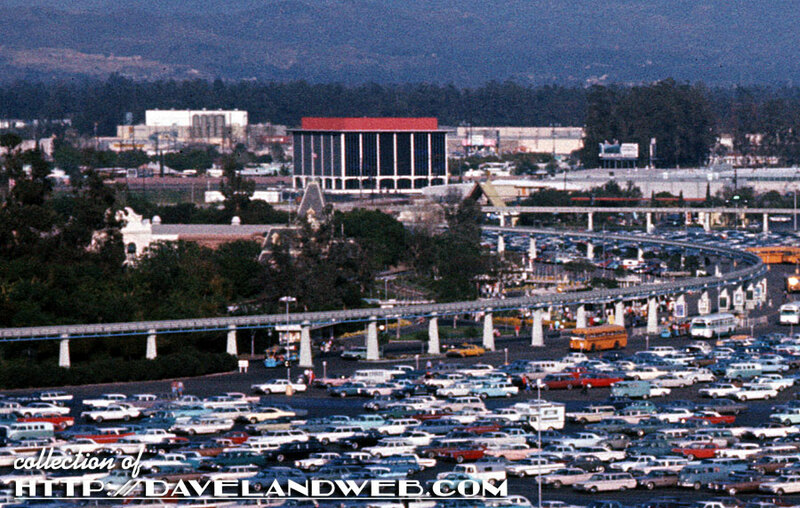 Looks like it's Mr. Toad's Wild Ride. 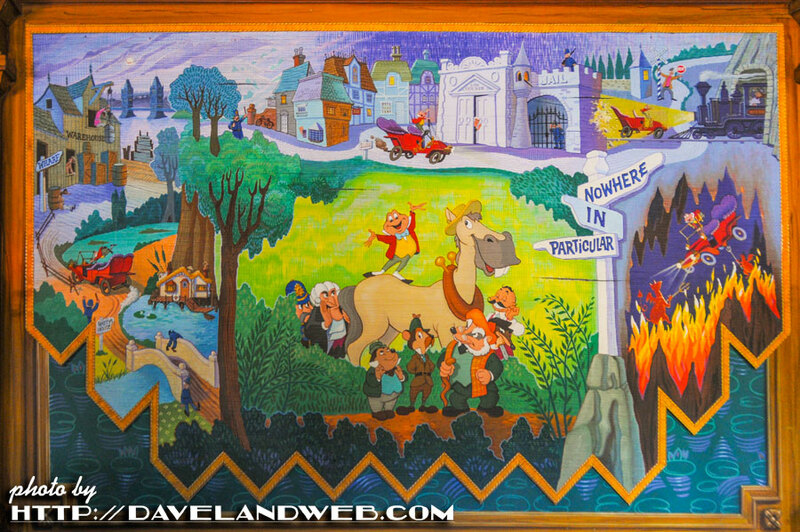 Nice glimpse of the original line queue mural. 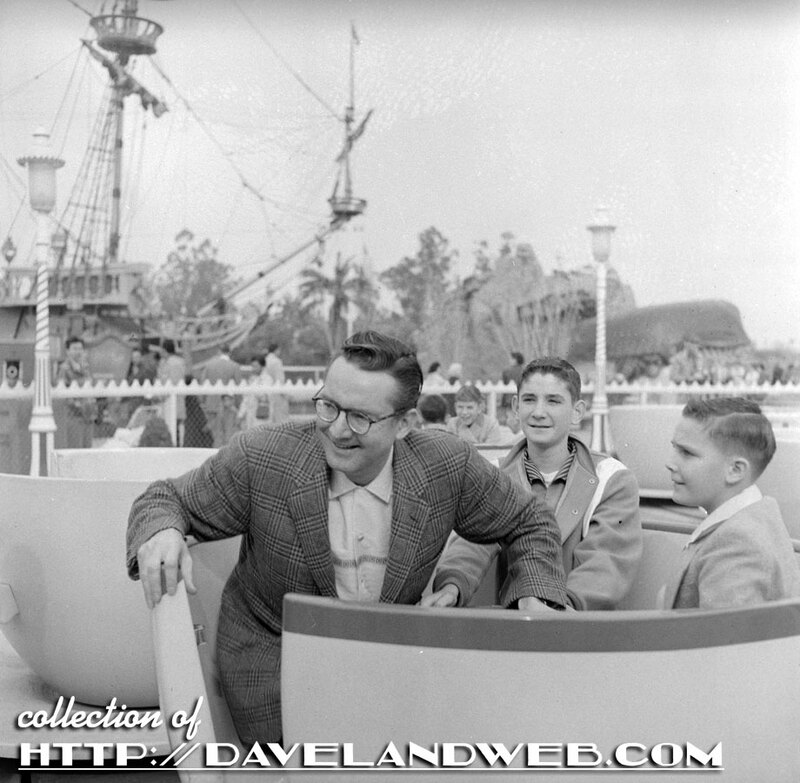 See more vintage and current Disneyland Fantasyland photos at my main website. 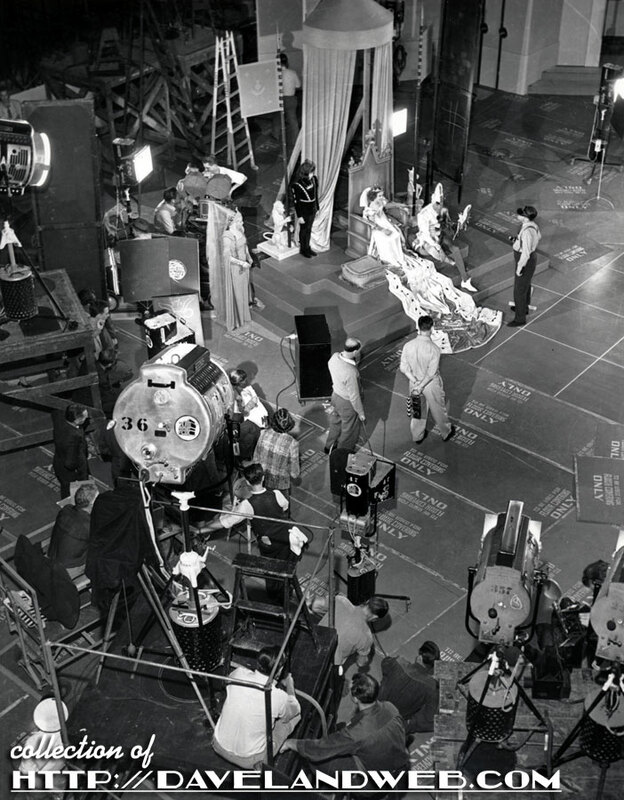 This rare overhead shot shows filming of the dream sequence from the 1939 Shirley Temple movie "The Little Princess." 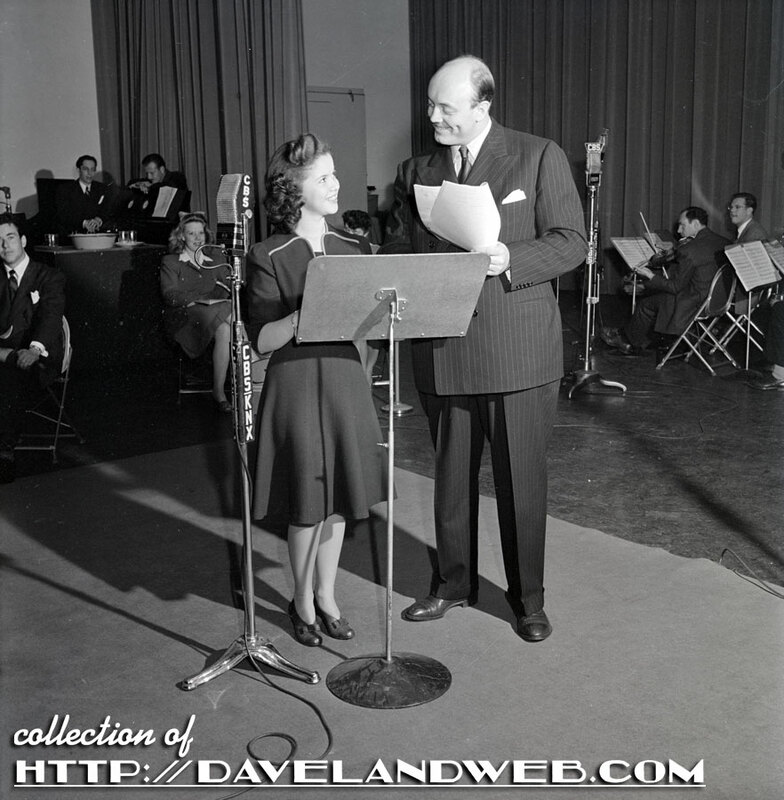 This detailed view shows Shirley and popular costar, Arthur Treacher. 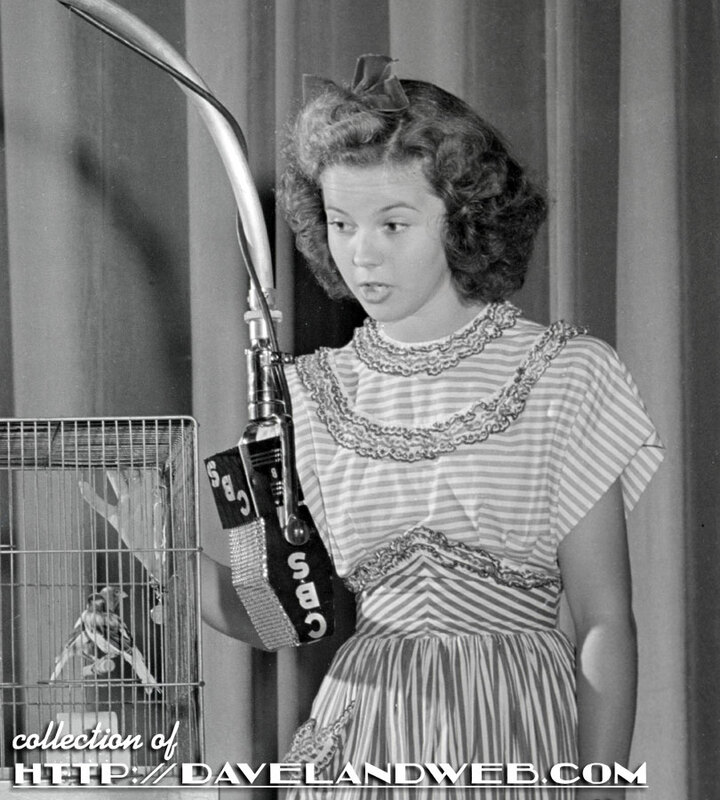 More Shirley Temple at my main website. 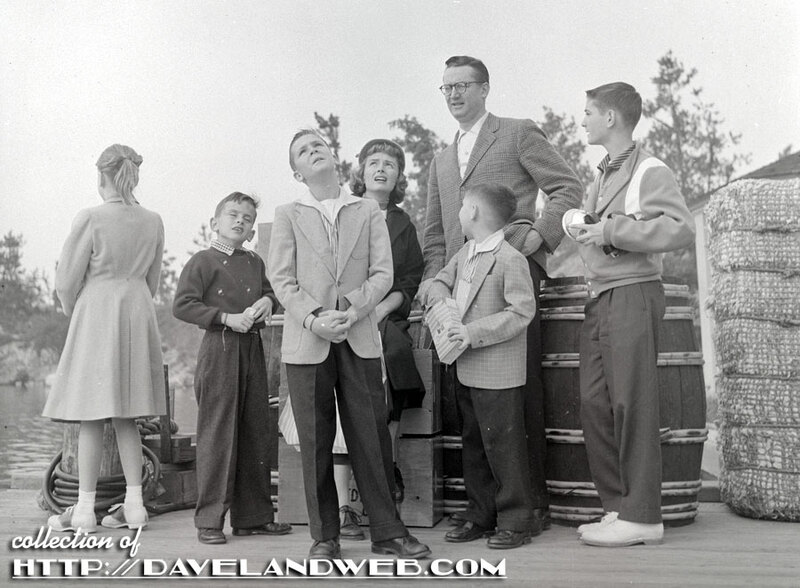 Today Donna Reed and Steve Allen and his sons look puzzled as they attempt to figure out where to go in Frontierland. So many choices! 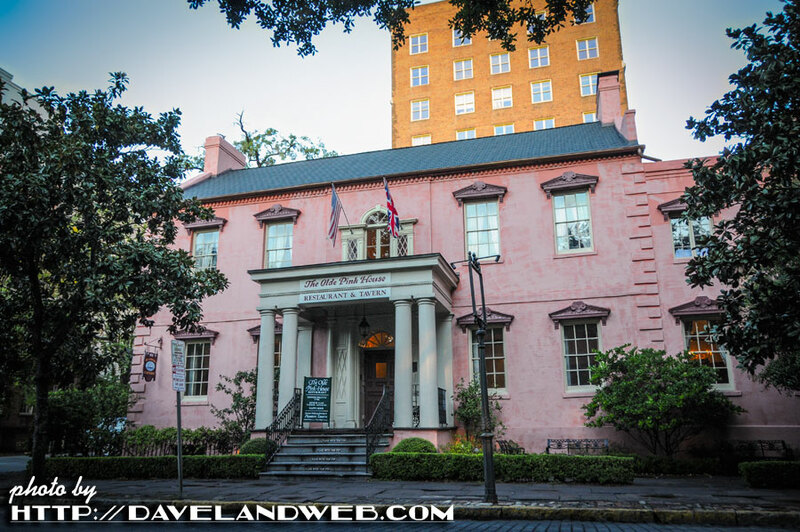 You really can't go wrong with the Mark Twain; seems like a good choice to me! 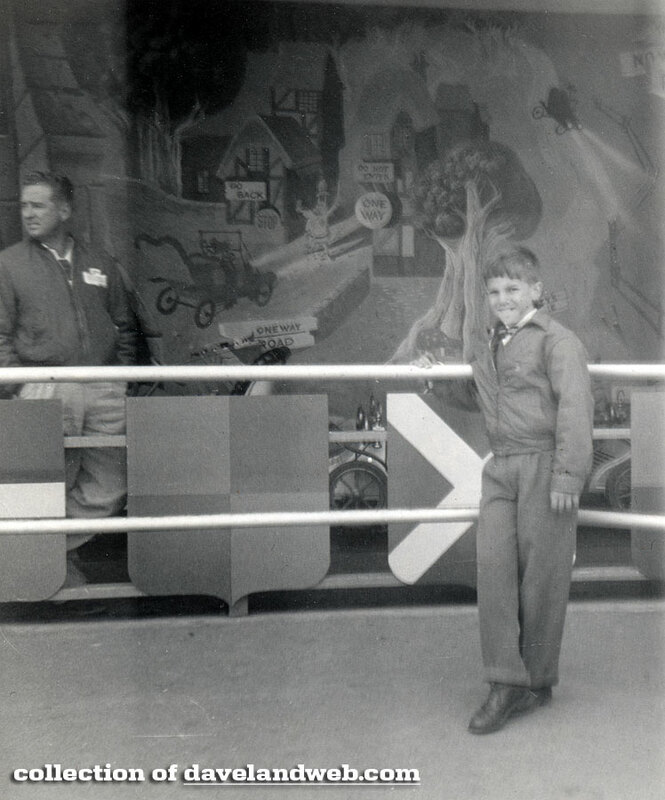 Last one today is a great shot of Steve on the Rainbow Mountain Railroad. Here comes the photographer! 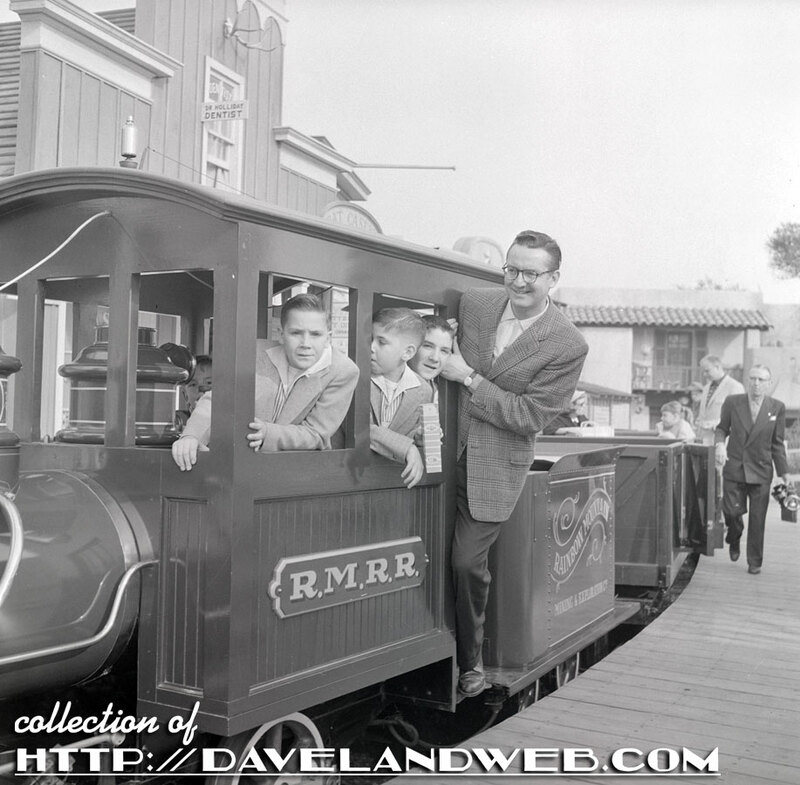 See more vintage and current Disneyland Frontierland photos at my main website. 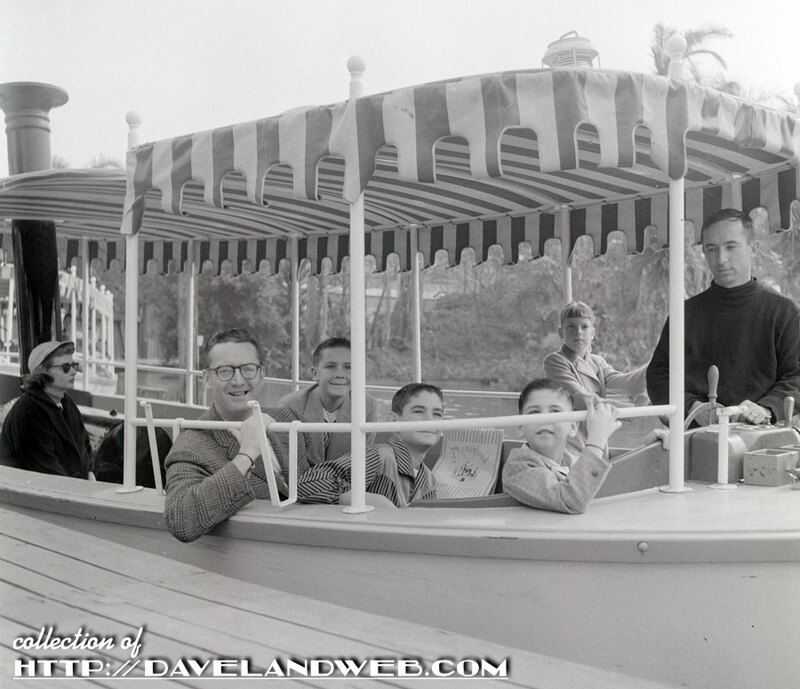 Today it's back to December 1957 as we follow Steve Allen and family aboard the Disneyland Jungle Cruise. 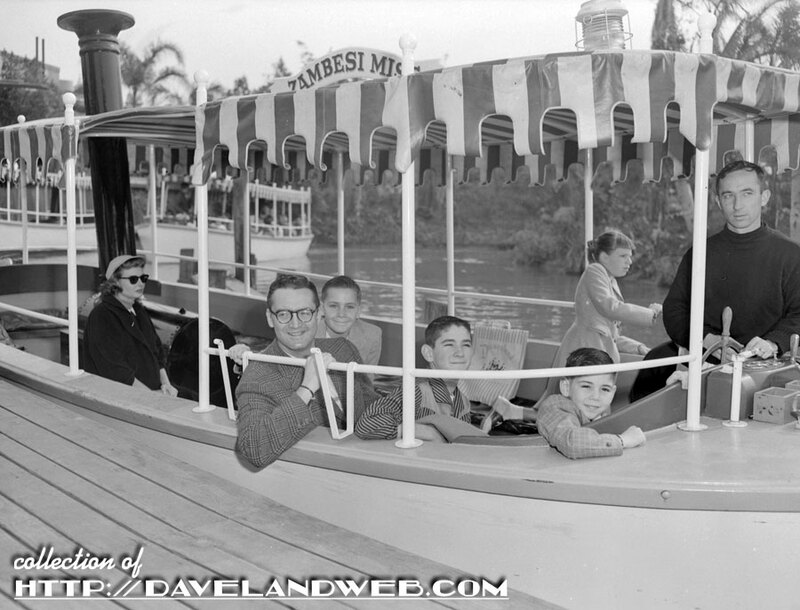 Actress Donna Reed has the sunglasses on and is attempting to avoid the paparazzi in the back of the boat. 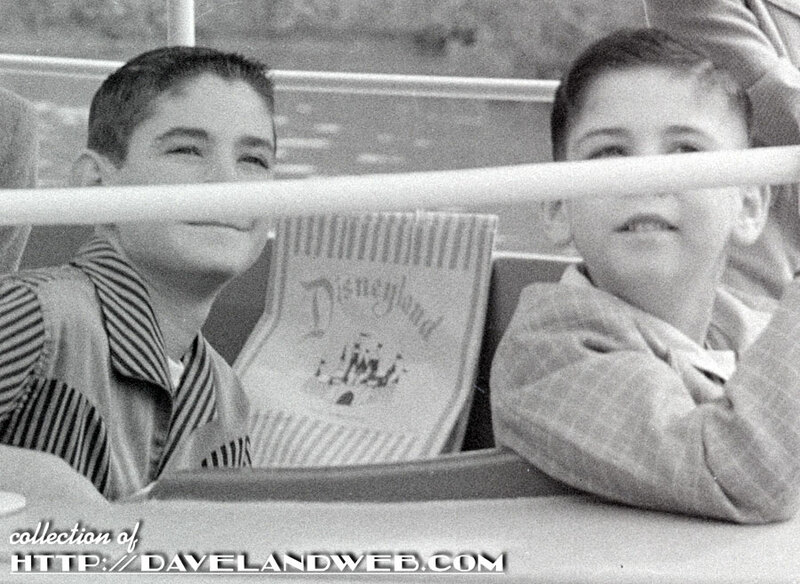 Anyone want a closer look at that vintage souvenir bag? 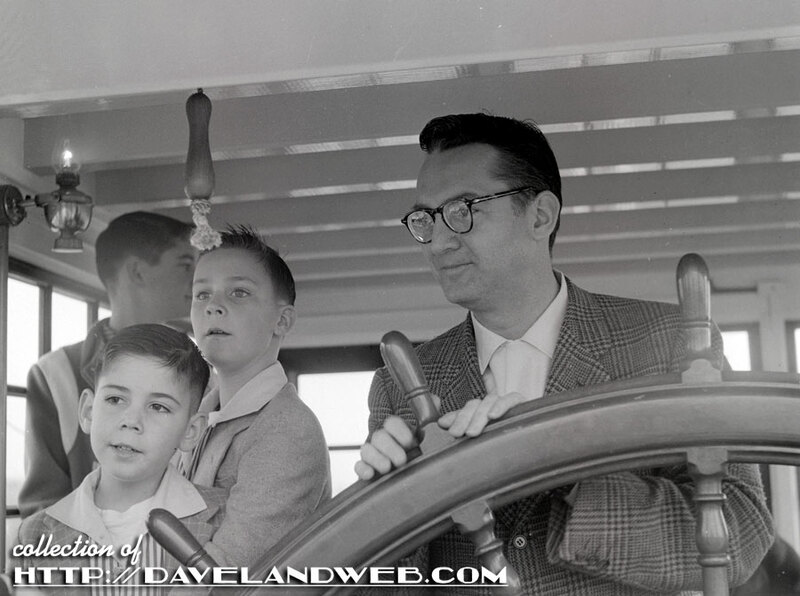 Once the initial batch of photos were over, it would appear that Allen and his family moved to a different position on their boat, The Zambesi Miss. 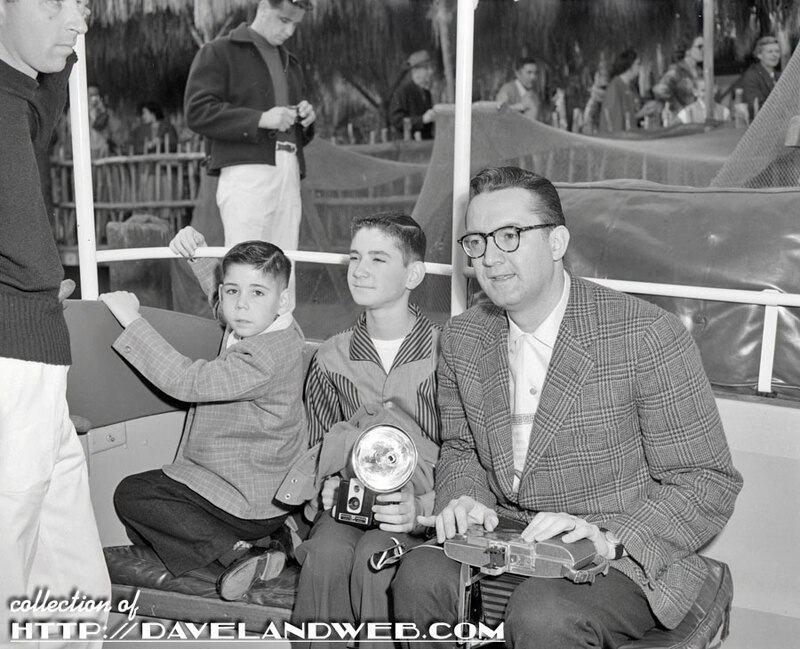 Check out that huge flash attachment to Steve Jr.'s camera! 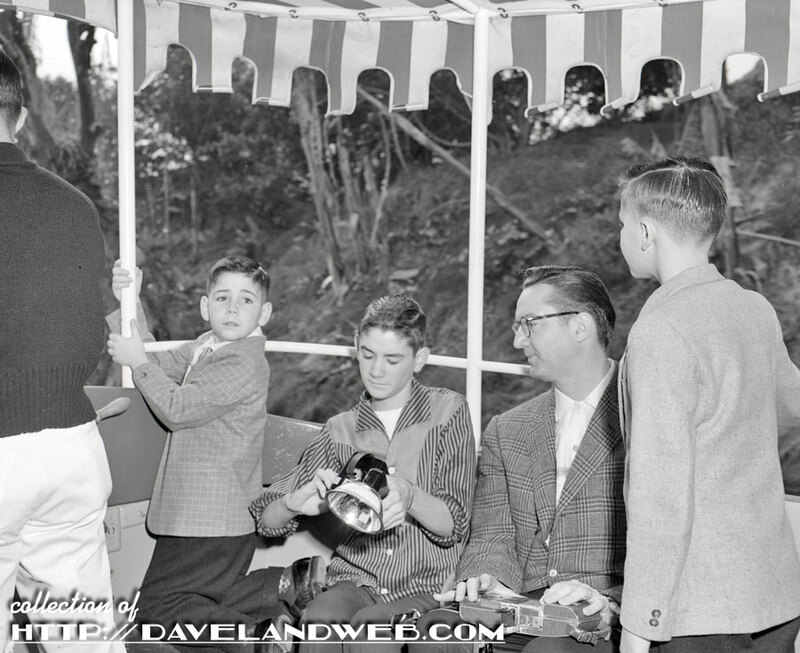 Even on the Jungle Cruise, Allen must look his best for the cameras. Fix that collar, Steve! 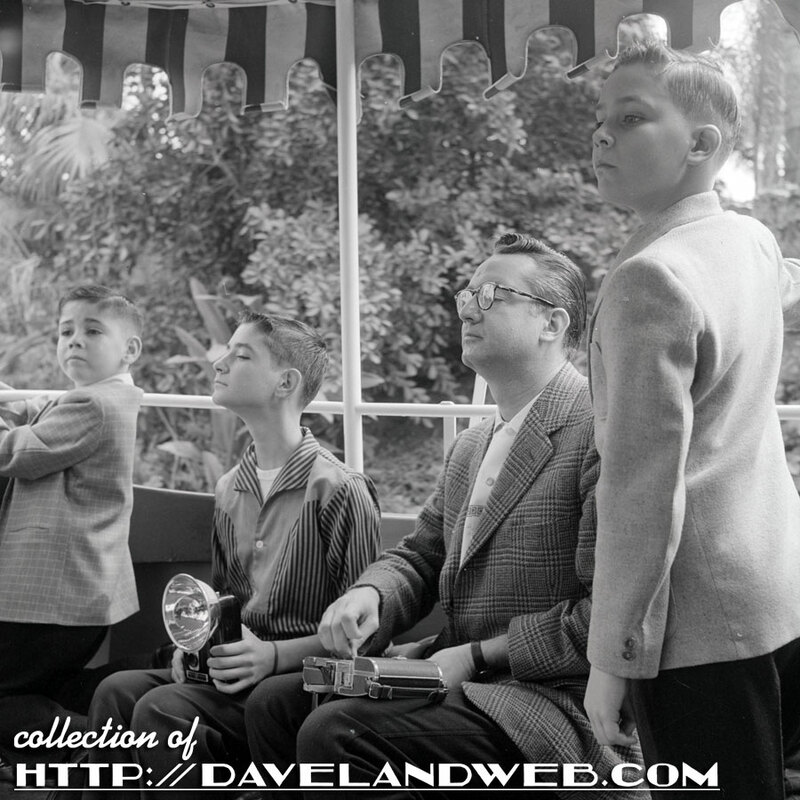 Wish I knew what they were craning their necks to see in this shot. 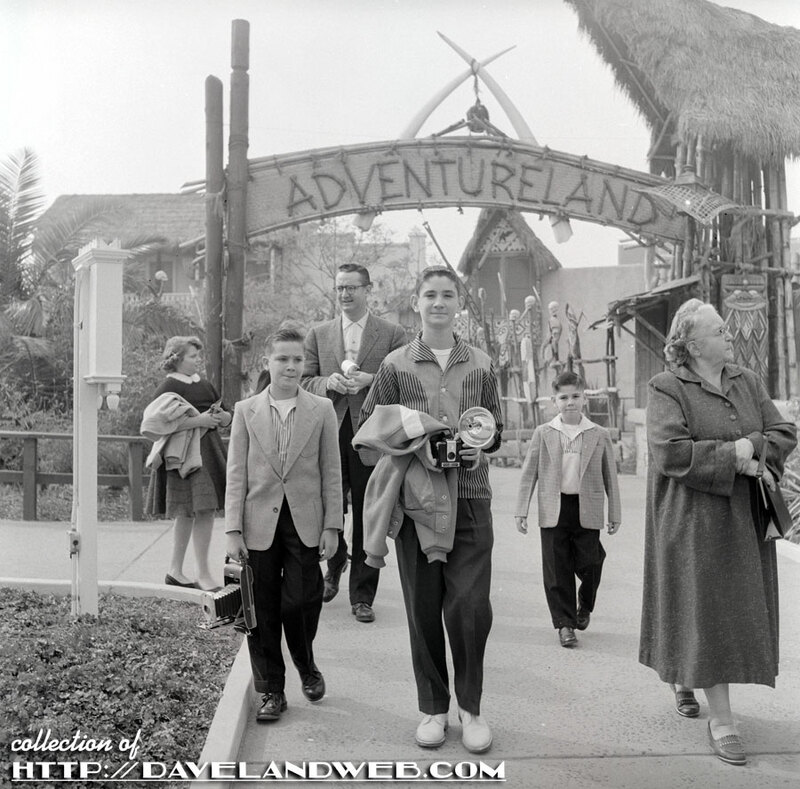 As the Allen family leaves Adventureland, I wonder where they will go next? Only time will tell. Stay tuned! I wonder what happened to Donna? 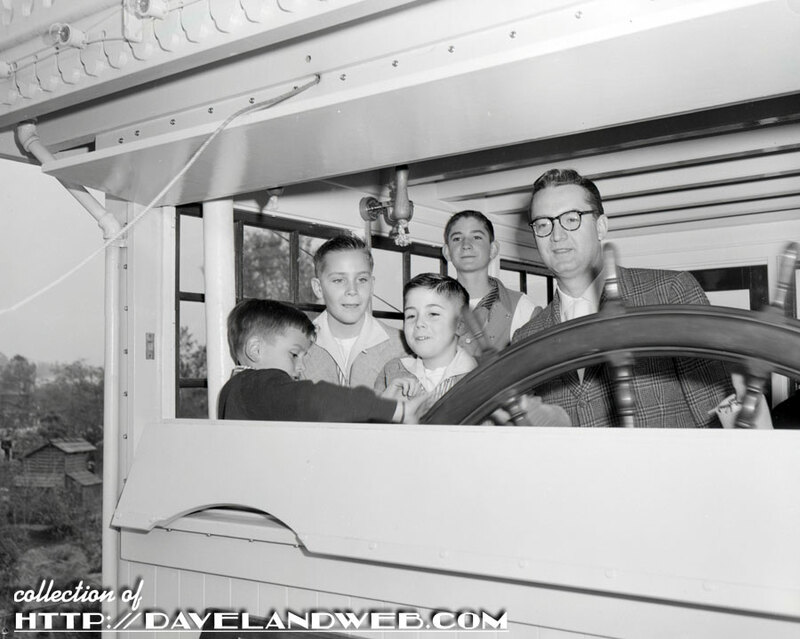 Did she stay behind with Trader Sam?!? 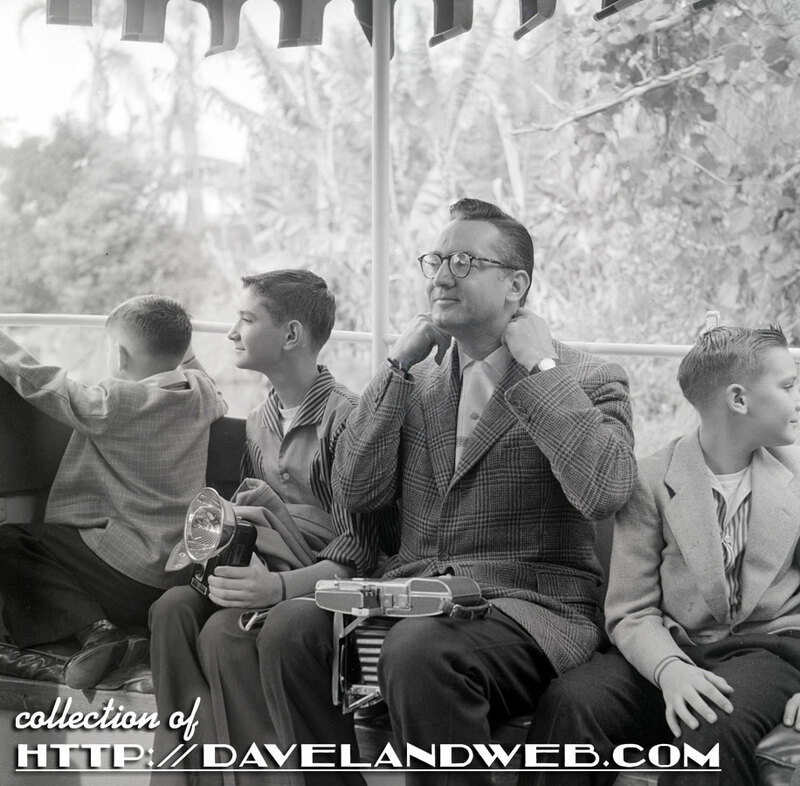 More vintage and current Disneyland Jungle Cruise photos at my main website. 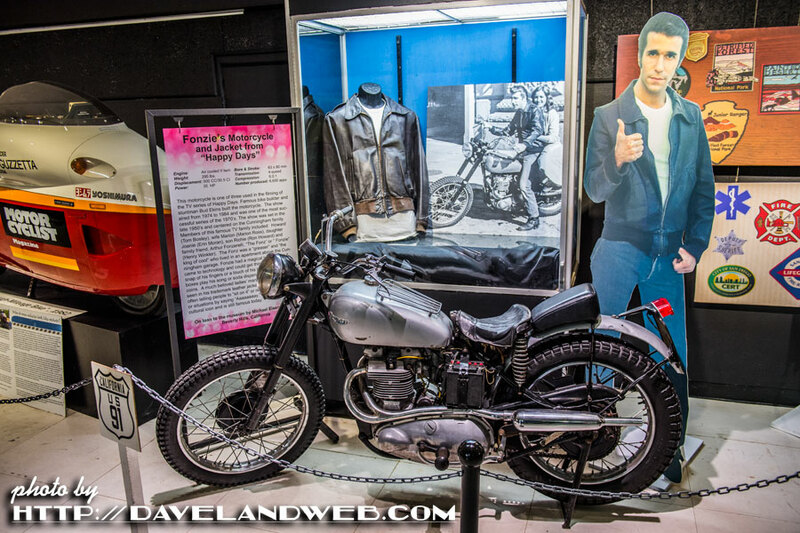 When it comes to 1970s TV icons, "The Fonz" was way above the rest...until he jumped the shark of course. 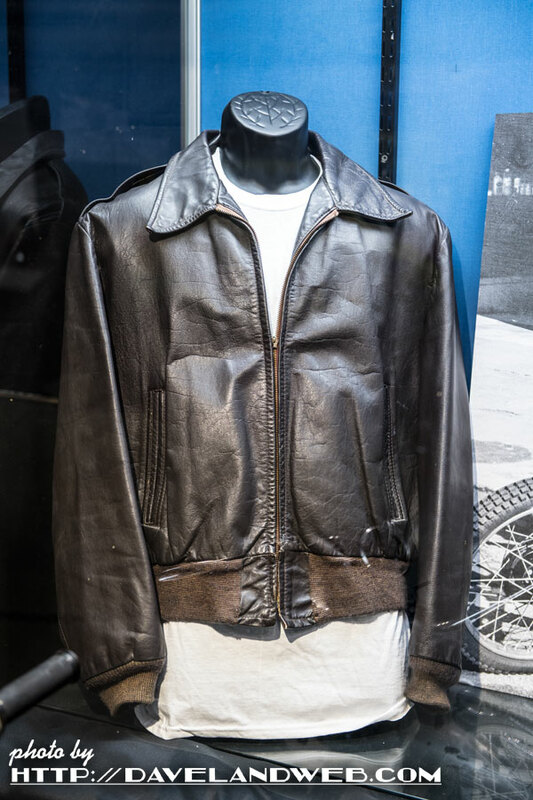 It brought back many fond memories when I saw the leather jacket and motorcycle used by Henry Winkler in his portrayal of Arthur Fonzarelli at the San Diego Automotive Museum in Balboa Park. 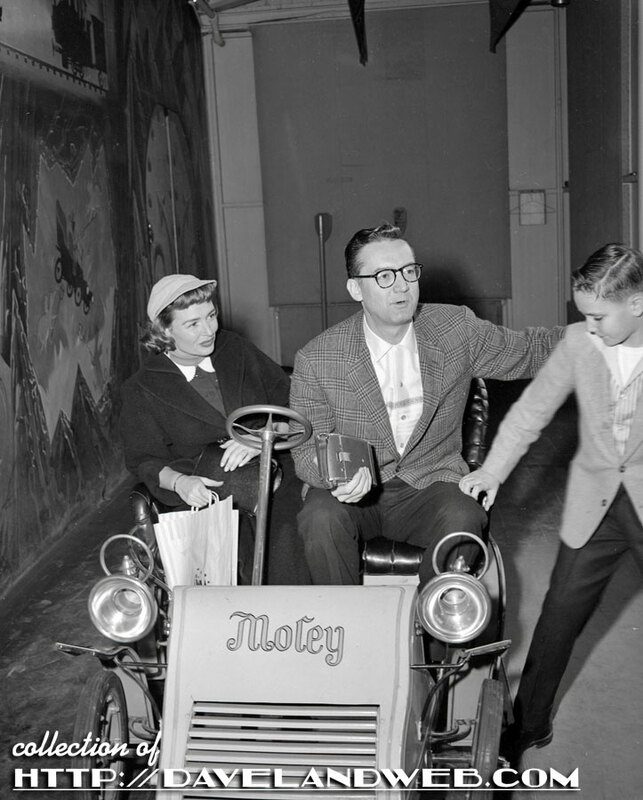 Every Tuesday I sat in front of the TV and watched "Happy Days," with its rose-colored glasses retelling of the 1950s. 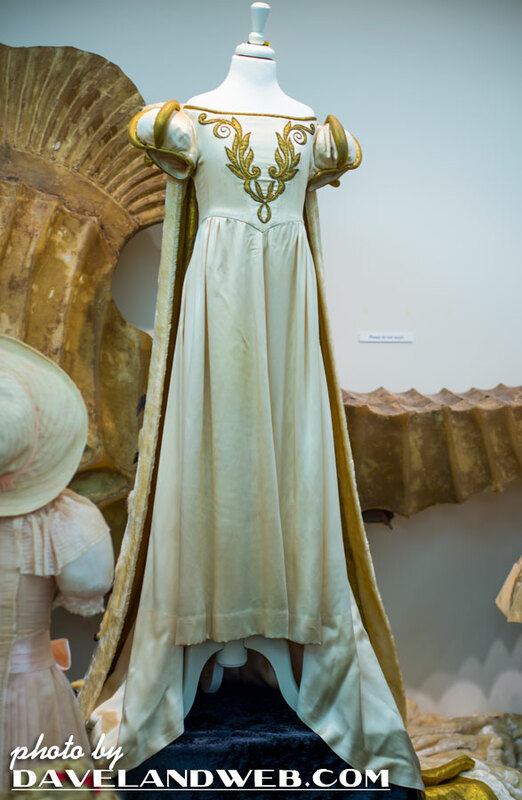 The cycle on exhibit was one of three used in the filming of the show. 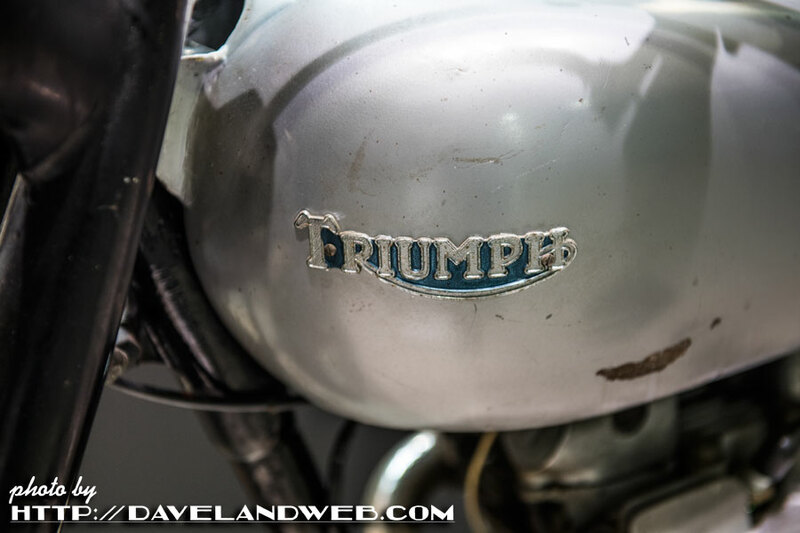 A closeup of his Triumph cycle. And no...you can't "sit on it." 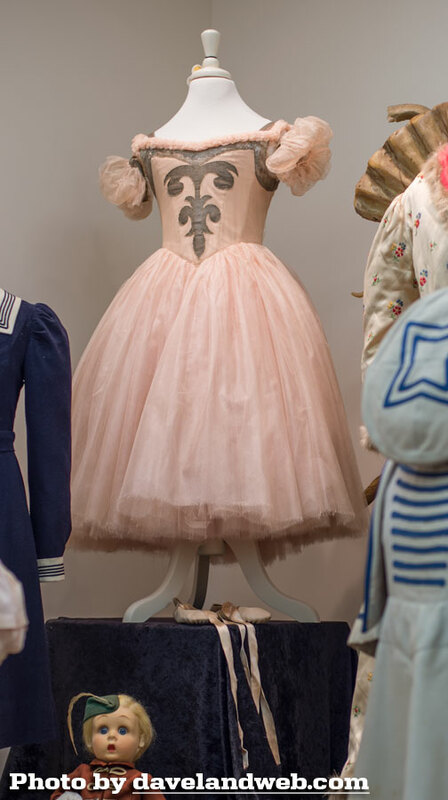 If you're wanting to see this in person, you have until June 8th. 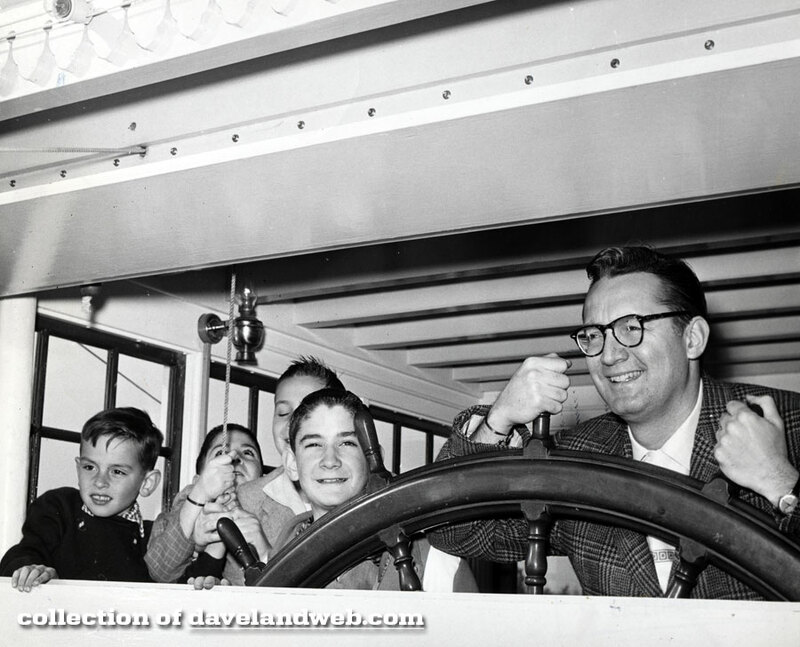 More vintage auto photos at my main website. 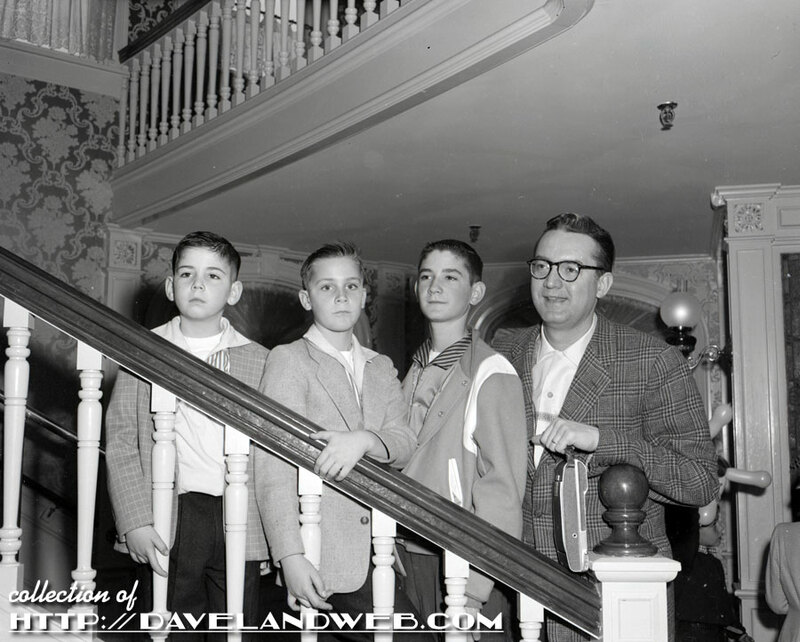 From one June 1965 image I have managed to expand it into 4 views. Ah, the glory of closeups. 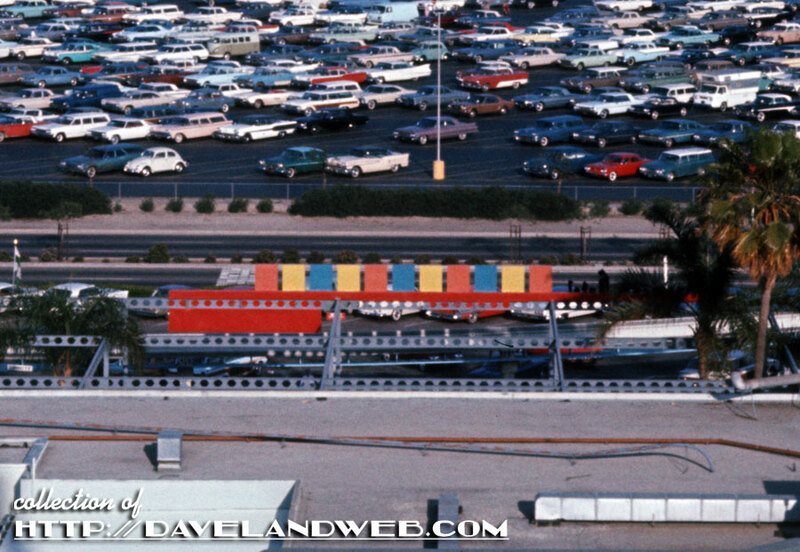 A closeup of the back of the Monorail station at the Disneyland Hotel. The next three closeups show various buildings along Harbor Boulevard and Katella Avenue. 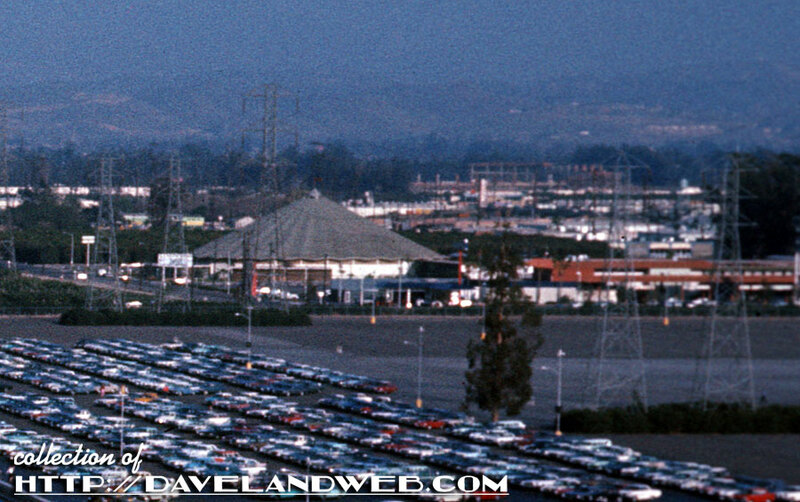 Anyone for a Grand Slam breakfast at Denny's? 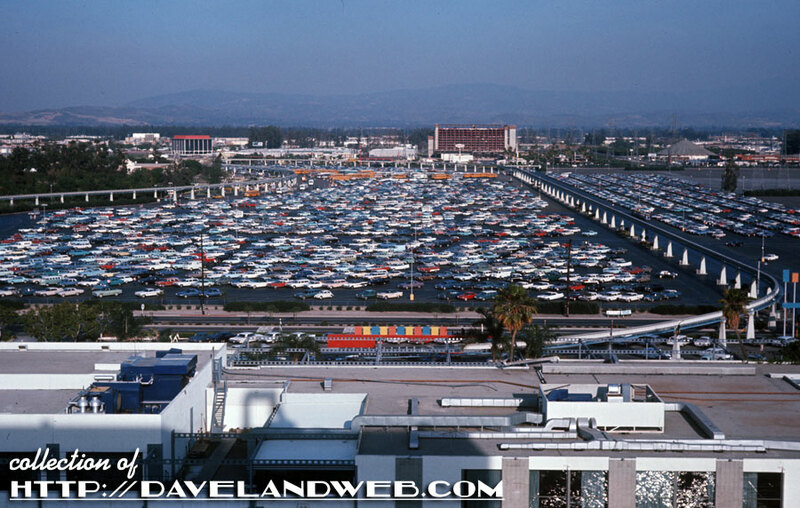 Most amazing to me is the amount of school buses visible in the parking lot. 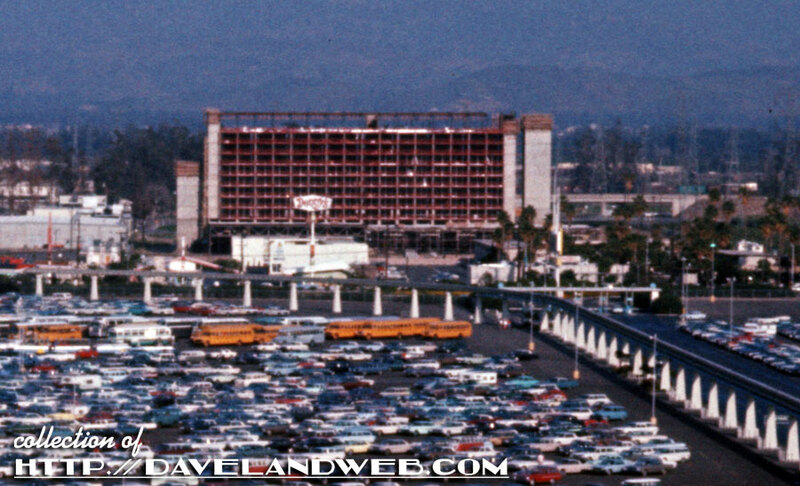 More Disneyland Hotel and parking lot photos at my main website. 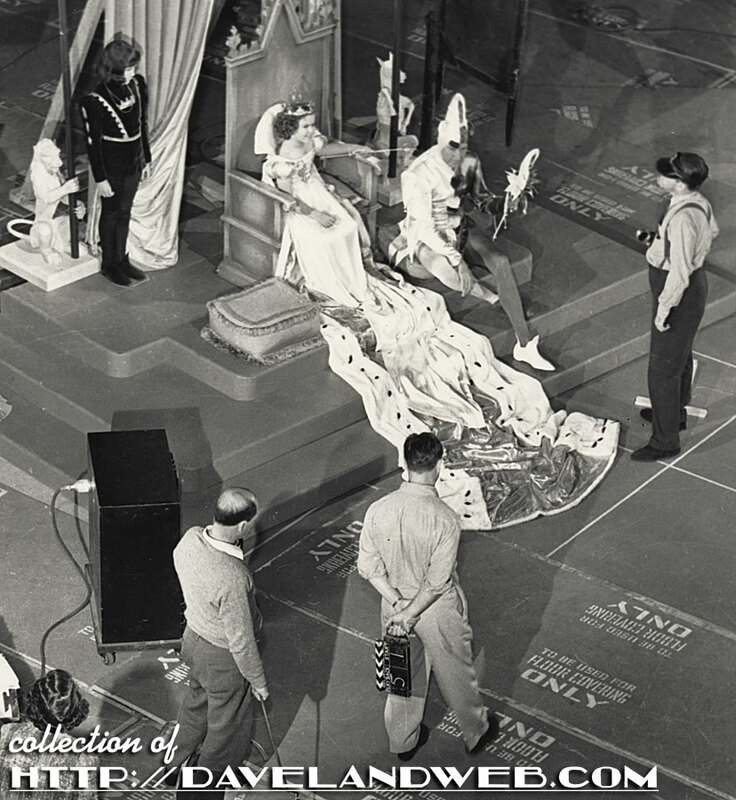 John Florea worked for LIFE Magazine from 1941-1949, photographing some of the most famous actresses of the 1940s. 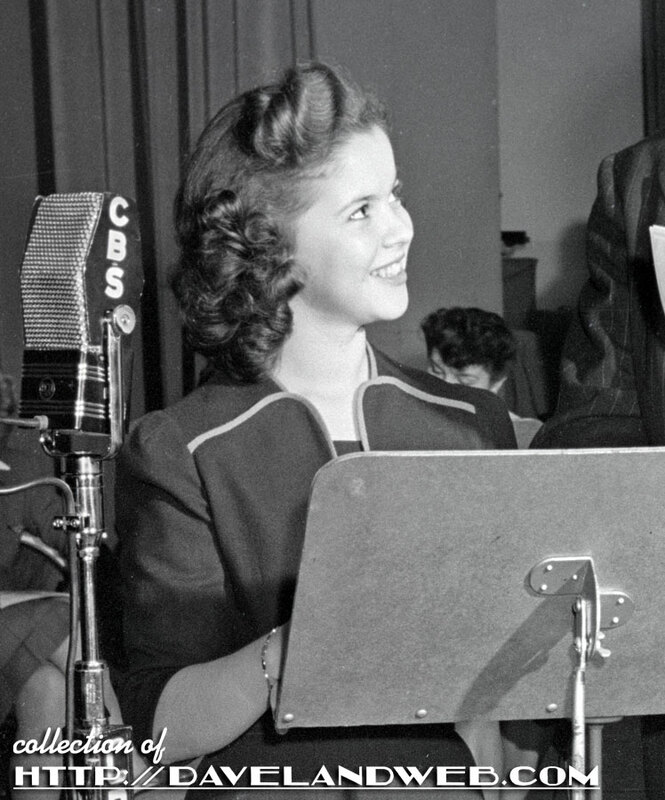 These three shots that he took show Shirley Temple performing on the radio in 1942. 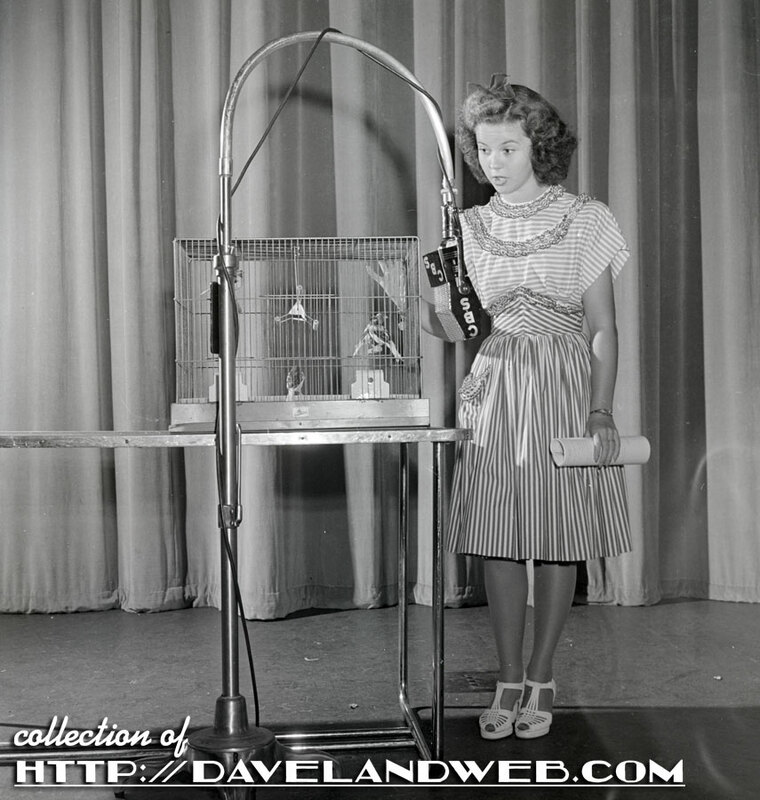 Most likely she was performing the role of Judy Graves in the series "Junior Miss." Not quite sure how the birdcage fits in though! 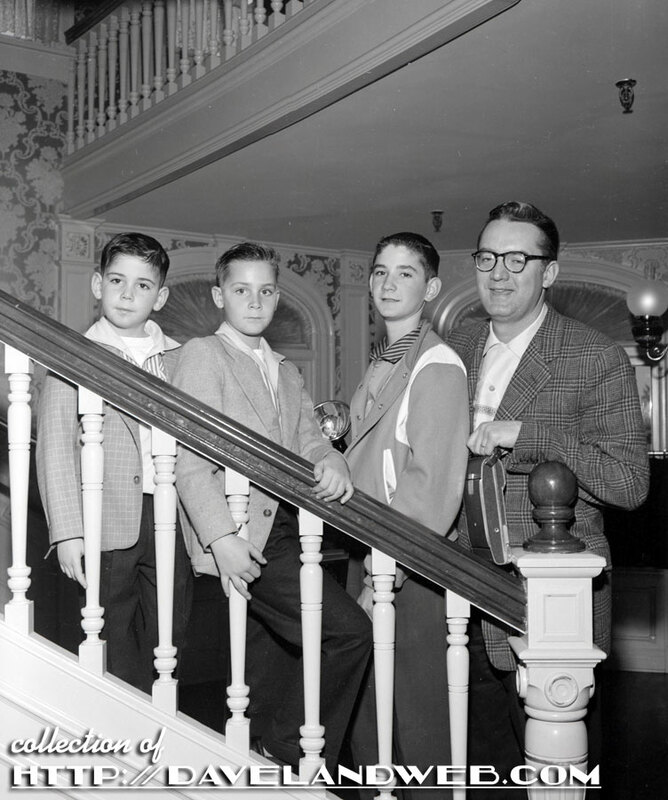 Shirley's movie career was stalled at the time while she was attending Westlake School for Girls and enjoying the life of a normal teenager. Or at least as normal as the girl who was once the most famous child in the world could ever hope to be. 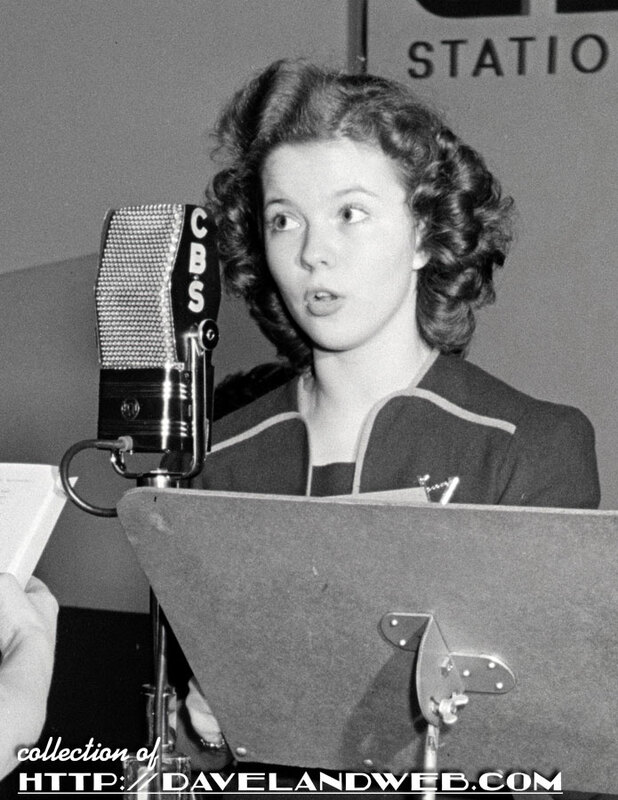 "A new radiant Shirley Temple—in a magnificent story, worthy of her talents! Made a date to meet her every Wednesday at 9:00 (E.W.T.) 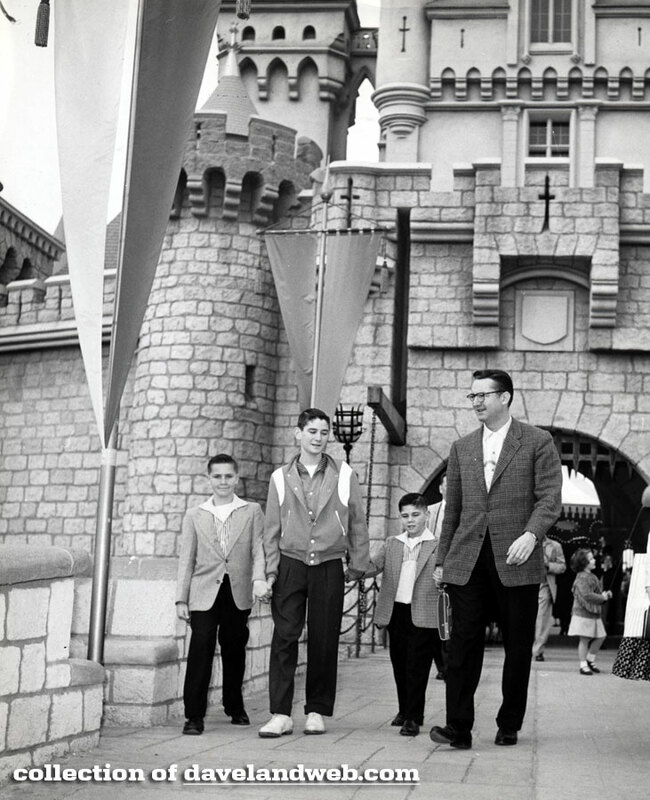 You'll lose your heart to this lovable, laughable JUNIOR MISS! Make a Date to Meet Her! 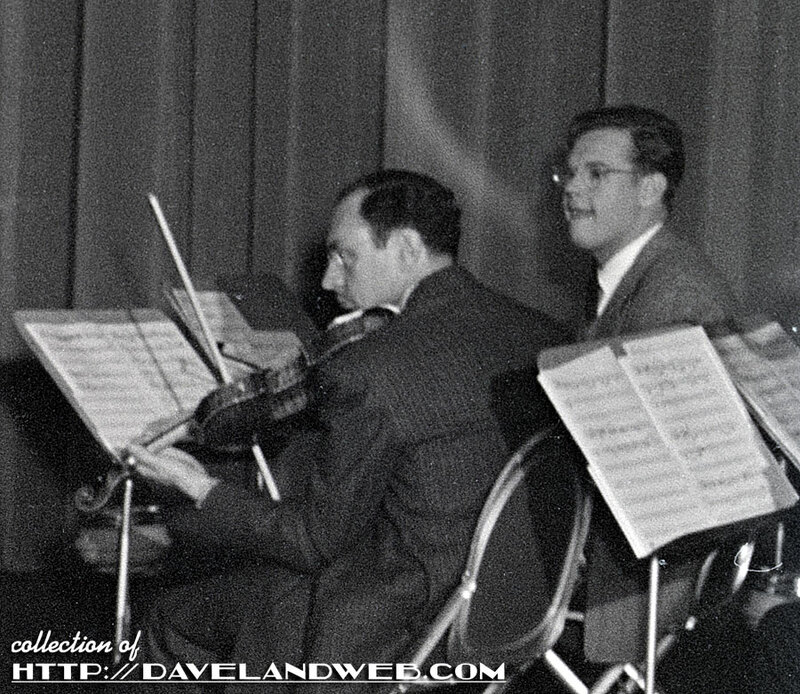 Here's a closeup of two members of the orchestra. 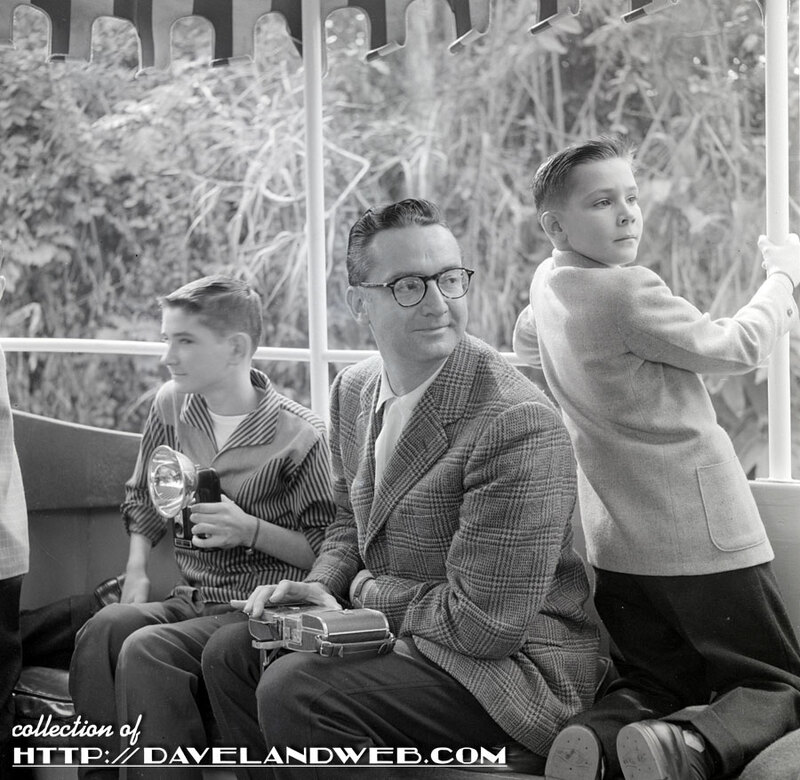 That should account for at least a portion of the extravagant $12,000 per episode budget! 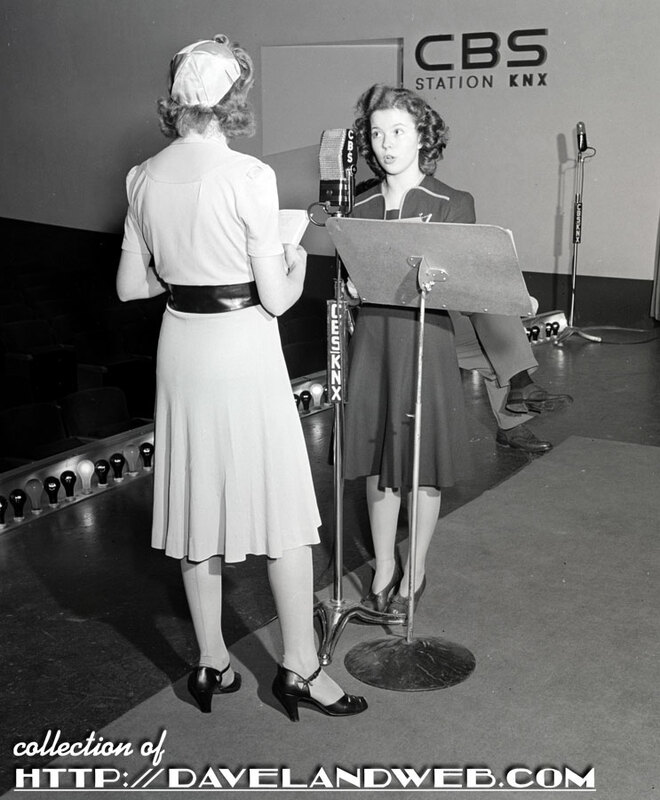 The program premiered on March 4, 1942 and ended with the 26th episode on August 26, 1942. Not a bad little run for our girl Shirley! More teenage Shirley at my main website. 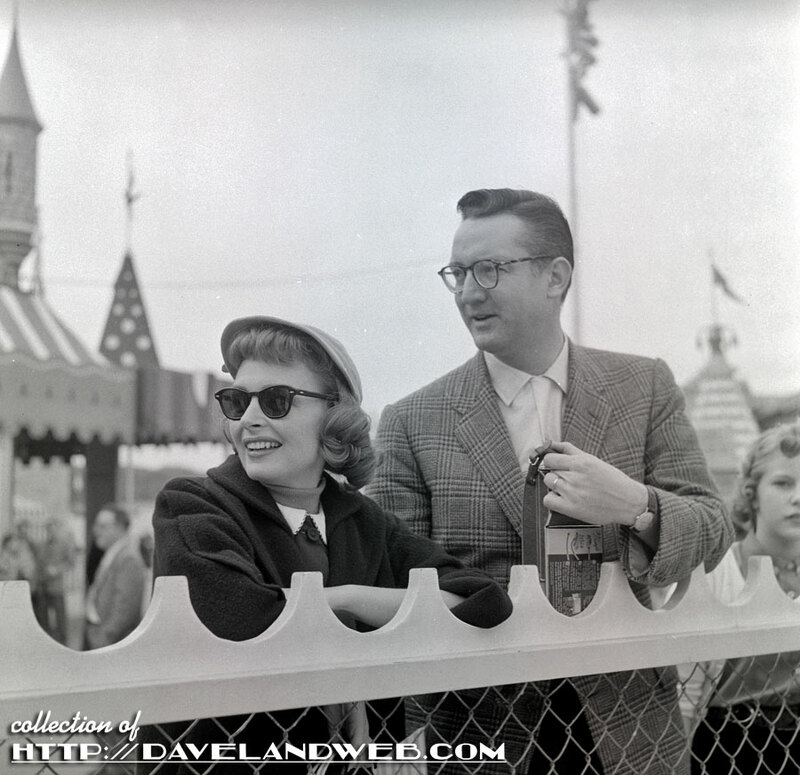 Steve Allen and Casey Jr.